During the New Games Leadership Workshops Dale teaches attendees the games and how to lead them with their group. Leading New Games is different than traditional sport. The workshop is very hands on, as participants practice leading the games with feedback from Dale. Then finish by leading an open session where family, friends, and the community are invited to give workshop participants a real-life experience of games leading. I arrived feeling resentful that I had to get up so early and give up a weekend I badly needed for myself. After one game I knew I wouldn’t have missed it for anything. 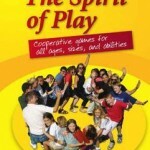 In New Games, the goal is for everyone to have fun playing together. The people playing are the most important part of any game. Games are changed to meet players’ needs. As a result, the New Games concept can be used in any area of human relations to create a bond of trust, communication, and community. This is an opportunity to learn New Games by playing them! You will also learn how to lead the games, when to use which ones, and how to create your own New Games. For teachers and group leaders for: business course leaders, youth, churches, Scouts, after school, day care, park activities, meetings & more! A comprehensive list of upcoming and past events is also available here. 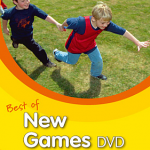 New Games is a fantastic way of bringing people together from all sorts of backgrounds. It gets me in touch with my inner child which allows me to connect with people in a child like way.